Kingdom Hearts III is hands down one of the most anticipated games to hit the PlayStation 4 & Xbox One next year. At E3 2018 , we fans of the franchise got their chance to see Sora, Donald & Goofy traversing the Tangled, Frozen & Monsters INC universes, while introducing us to some familiar enemies. As expected, during this year’s Tokyo Game show, gamers got the chance to see a new trailer that finally focused on the Marvel & Disney’s Big Hero 6 crew. The original trailer that was released was a bit short, but a new extended trailer was released that gives us a more in-depth look at the Big Hero 6 team & how Sora, Donald & Goofy will interact with them. 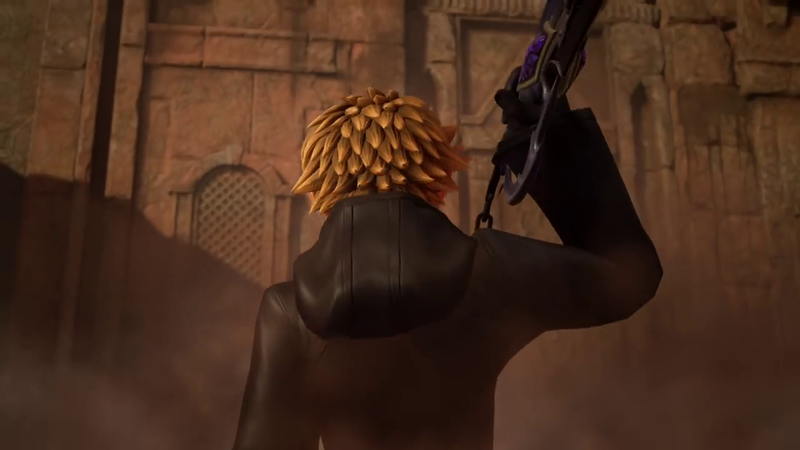 We also get some see some new footage from the crew as they visit different worlds & get to see what could be a tease for the final showdown between Sora & Xehanort! Take a look at the extended Tokyo Game Show trailer below! Kingdom Hearts III will serve as the final chapter of the “Dark Seeker/Xehanort” saga, with Nomura revealing that the plot of the game will pick up “immediately after the events of Dream Drop Distance.” He also added that the plot will examine the seven lights and thirteen darknesses coming together for the final battle, but that everyone that is expected to fulfill these roles may not. Kingdom Hearts III hit Japa. On January 25, 2019 & launches worldwide on January 29, 2019.